There are a number of different situations when you might want to get a second opinion on your diagnosis or treatment plan. It’s wise to consider getting a second opinion if you’re diagnosed with a serious, complex, or rare condition or if your doctor has recommended elective (non-emergency) surgery like joint replacement or a hysterectomy. A recent study at the Mayo Clinic highlights the potential value of seeking a second opinion in these situations. The researchers found that as many as 88% of those who sought a second opinion for a complex medical condition at the Mayo Clinic had a new or refined diagnosis that changed their treatment plan, with 21% of the diagnoses being completely changed by the second opinion. In contrast, only 12% of those patients received confirmation that their diagnosis was correct and complete. That’s why a second opinion can be the front line defense against misdiagnosis, a problem that affects 12 million Americans a year according to the Institute of Medicine. But even though a second opinion can offer valuable information and may even change your diagnosis or open the door to additional treatment options, fewer people than you might expect seek a second opinion. A Gallup poll found that 49% of the 5,000 survey respondents said they never seek a second opinion when their physician diagnoses a condition, prescribes a new medication or treatment, or recommends surgery. Why don’t people get a second opinion? In actuality, there’s no need to start treatment for most conditions, including most cancers, immediately after you receive a diagnosis. And most doctors welcome a second opinion. If they actively discourage seeking one, that can be a sign that you should consider switching doctors. If you’d like to get a second opinion, talk to your insurance company to find out what coverage they offer. Many plans include the support of a case manager who can tell you what’s covered and how to go about getting a second opinion. 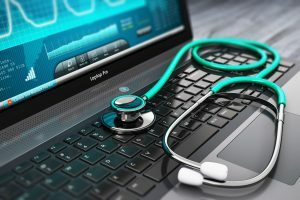 And even if you don’t live near a center of excellence for an expert second opinion, many, including Massachusetts General Hospital, Yale, Cleveland Clinic, and Dana Farber Cancer Institute, offer virtual or remote second opinion programs. A health advisor can also connect you with experts for second opinions. Even if your second opinion doesn’t change your diagnosis or treatment plan, you can move forward with peace of mind of knowing you’ve gathered the information you need to make an informed decision about your care.